I'm not sure where to post this, so sorry if i'm at the wrong section. But anyway, i'm going to make the keyblade Oblivion and i can't find it's size anywhere. So does anyone knows the size of it? Re: I'm making a keyblade and i got a question. Moving this to the KH section! Well there wouldn't be a size for it, so you just have to approximate. However, you can guess it quite well with some help. I suggest using Terra or Aqua, as they are about regular adult height. In the pictures you can see that the hilt is a little bigger than one hand and the blade around the same size as the entire arm. Do note that the Earthshaker and Oblivion are different sizes, but if you'll use it for cosplay or such it might be better to have it on scale with yourself. The vid says that it's 36 inches long JR. Listen from 0:40. I think that's too long for some people. 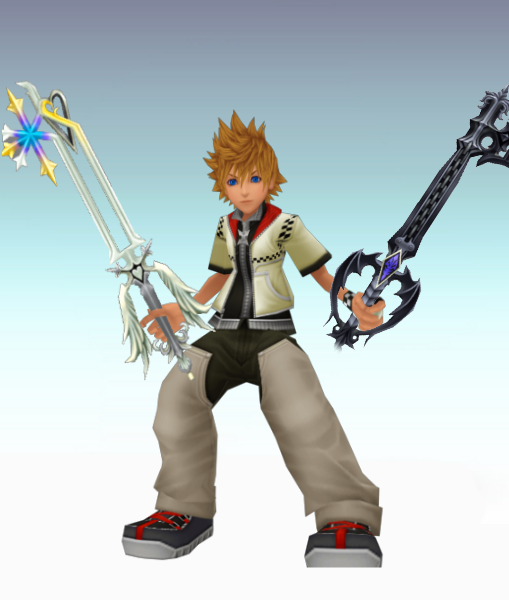 Or look at a picture of Roxas holding the Oblivion Keyblade. There you can calculate the length of the keyblade over the length of his body. But if it's too much I think adjusting to your own body height is ideal, since it will be easier for you to swing a sword. Good luck in constructing your first keyblade JR I want to see the chain works on the keyblade's body. ... And i don't think i will use it to kill someone (wish i could tought). Considering that it is nearly three feet long, I'd say that its big enough. It's more realistic than, say, a five foot broadsword for instance. Ok thank you I'm not good in estimate lengths and stuff. So thx.